Disputes between different groups of foreign fighters could undermine ISIS, according to a defector from the group interviewed by The Daily Beast. The ISIS defector, who goes by the pseudonym Abu Khaled, spoke with Michael Weiss at length in Istanbul, Turkey about ISIS and its internal operations. According to Abu Khaled, although ISIS relies upon foreign fighters, its leaders still fear that those militants might not be entirely loyal and are concerned that ISIS could fracture along national or ethnic lines. Previously, Khaled told Weiss, foreign fighters would be organized into battalions based upon their origin for ease of communication and control. But this practice has been halted following the dissolution of a 750-strong Libyan brigade, known as al-Battar, that was deemed to be insufficiently loyal to ISIS' overall hierarchy. "Its men, ISIS found, were more loyal to their emir than they were to the organization," Weiss writes. "So al-Battar was disbanded." This distrust of foreign fighters has now led ISIS to create battalions with fighters of mixed origin, even when some of those fighters aren't Arabic speakers. Abu Khaled told Weiss that ISIS officials in Raqqa, Syria denied his request to form a French-speaking battalion due to the earlier experience with the Libyans. "They told me, 'We had a problem before with the Libyans. We don't want the French in one katiba [battalion],'" Abu Khaled said. Abu Khaled's description meshes with earlier reporting that battlefield setbacks have exposed fissures within the group. Chechen and Uzbek militants clashed after ISIS failed to take the strategic border city of Kobane in January, for example, with each blaming the other for the siege's failure, The Telegraph reports. Two senior ISIS officials were apparently killed during the infighting. Tensions are also reportedly emerging between ISIS foreign fighters and local Syrians. These divisions undermine a key propaganda concept within ISIS — namely, the unity of all practicing Muslims within its "caliphate." Foreigners in the organization can earn twice as much pay as local fighters. Foreign fighters also receive better living accommodations in ISIS-controlled cities and are less frequently deployed to the frontline than their Syrian or Iraqi counterparts, The Wall Street Journal reports. "We're seeing basically a failure of the central tenet of ISIS ideology, which is to unify people of different origins under the caliphate," Lina Khatib, the director of the Carnegie Middle East Center in Beirut, told The Washington Post in March. "This is not working on the ground. It is making them less effective in governing and less effective in military operations." Allegedly preferential treatment for foreign fighters has bred resentment within ISIS as Syrians feel they take a larger share of the group's military risk. The disparity has also sparked violence between the groups within ISIS: Foreign fighters and Syrian militants waged a shootout in the town of Abu Kamal on the Iraqi border following an order that deployed the Syrians to the Iraqi front line in March, The Post reports. When disputes do arise within ISIS, Abu Khaled told Weiss, they escalate quickly — and often violently. In one case, Abu Khaled described the extreme lengths an ISIS leader in Raqqa went to in order to protect himself from jihadists that were purportedly under his own control. "I was in Raqqa once, and there was five or six Chechens. They were mad about something. So they came to see the emir of Raqqa," Abu Khaled said. "He was so afraid, he ordered ISIS to deploy snipers to the roofs of buildings. He thought the Chechens would attack. The snipers stayed there for two hours." 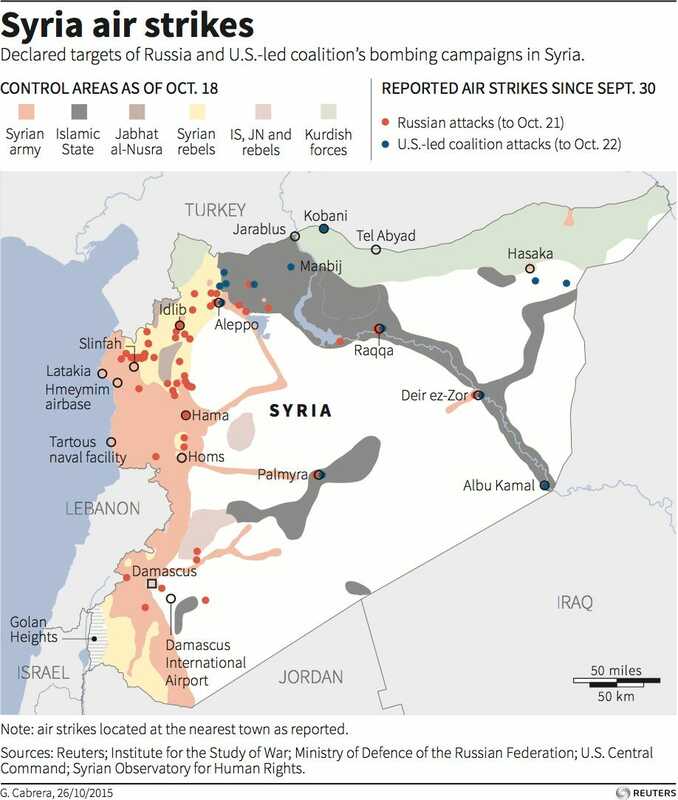 ISIS's ground-level setbacks in Syria and Iraq and failure to take significant additional territory are likely to further tensions among the various groups fighting under the terrorist organization's umbrella. French jets have pounded ISIS positions in its de facto capital of Raqqa, the Syrian military broke a year-long ISIS siege of an airbase outside of Aleppo, and US-backed Kurdish forces just retook Sinjar, Iraq from ISIS, cutting off a supply route for the militants stretching between Iraq and Syria. Such losses may eventually add to the discontent within the organization. But in the near term, ISIS may continue to plan major attacks around the world in an attempt to distract supporters from its failures within the "caliphate's" borders.